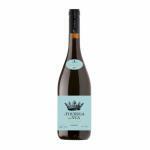 The Fita Preta Signature Series a Touriga Vai Nua is a red wine from Alentejo produced by Fita Preta made of touriga nacional grapes. 4 of 5 points is the average score of this red according to Uvinum users. 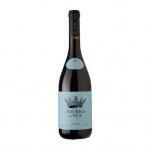 What's the evaluation of the Fita Preta Signature Series a Touriga Vai Nua? What are the opinions of other vintages or volumes of Fita Preta Signature Series a Touriga Vai Nua?